As a thriving Church of Ireland community we enjoy marking the main church festivals according to our Anglican tradition. We are a social and welcoming congregation comprising people at every stage of life. Some have been involved with the parish for sixty years and more, others for six months; people find us in passing, many stay for a lifetime. We are happy to say that this is proof of our ability to meet the needs of the many people who come to Zion Church and we offer warmth, friendship and inclusion to all who come through our doors. On the second Sunday of almost every month, during the main service at 10.30am, we celebrate Holy Baptism, making Zion an ideal place to attend if you are a young family. If you are planning a family baptism please visit us on any Sunday morning or call Margaret in the Parish Office (01) 406 4730. Baptisms need to be booked in advance as the available dates fill up quickly. Again, this is something that says a great deal about our welcoming community and the special place we make for the young at Zion. On the first and third Sundays during the school calendar we have Sunday Club for children between the ages of 3-10 years. This is supervised by parent volunteers who have been screened according to the standards of the Church of Ireland Safeguarding Trust. If you would like to discover more about Zion Parish – if you are simply curious or you are looking for a place to call your spiritual home – please visit the Parish Office (Tuesday and Thursday 9-12 noon or Wednesdays 11-2pm), send an email (zionparish@gmail.com) or telephone. I will be delighted to speak with you and arrange for you to meet the Rector, the Rev’d Stephen Farrell, or you may simply like to come and see for yourself what we do on Sunday mornings. Stephen has been Rector of Zion since 2011. A native of Omagh, Co. Tyrone, he is married to Laura, a barrister, and they have two daughters, Esther and Elizabeth. Stephen read Law at Jesus College, Oxford before commencing training for ordination in the Church of Ireland Theological College and Trinity College, Dublin. He recently completed an LL.M. in Canon Law, and is the Provincial and Diocesan Registrar. Interests and activities tend toward the sedate end of the spectrum, from food and wine to being dragged around by Jan, the indefatigable border collie. 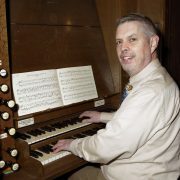 David has been organist and choir director at Zion Church since 1997. He is responsible for the music at the main Sunday morning service and holds rehearsals with the choir at 9.45 on Sundays, twice a month and occasionally on weekday evenings. Previous appointments were at Tullow Church (Carrickmines), Christ Church Leeson Park and Rathfarnham Parish Church. David studied organ with Eric de Courcy in Waterford and then with Sidney Greig and David Lee in Dublin. 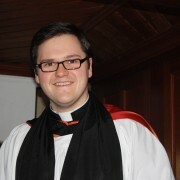 He is a member of the Executive of Church Music Dublin and is co-editor of the magazine for church musicians, Soundboard. David also is organist at the Church of the Three Patrons, Rathgar. While church music has been the driving force throughout David’s adult life, he also is deeply involved in the arts community and worked at the Arts Council for 32 years. Currently he manages the finances of an art gallery, artists’ studios and a dance company. See also the Choir page, under Worship. Sue Barber has lived and worked in our community for many years. She is a member of many organisations within Zion Parish and she has served as the School Administrator since 2001. In school Sue supports the Principal, Board of Management and staff with general administrative duties, puts many plasters on many, many knees, and provides a warm welcome for all visitors to the school. 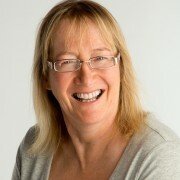 Sue can be located on the premises four days a week between 9am and 2.30pm. Wednesday is customarily her day off but this is flexible so do phone (01 491 0065) before turning up, please.